I am a BAD blogger! Our church closed in April of 2012 after 20 years. Worst time in my entire life. In June, Hannah graduated high school and Bekah graduated from 8th grade. God provided for us by giving me a full time job at SJHS in a year where they were cutting staff. That provided us with insurance for the family. Hannah attended Joshua Wilderness Institute. What a life changing, difficult and wonderful year for her. Bekah started her freshman year at Righetti high school. In April 2013 we headed up to the TriCities of Washington so that a pulpit committee could hear Tim preach at a neutral site. Later that day we drove to Sunnyside, Washington to look at the church and area. On an impromptu tour of the GORGEOUS high school, Bekah stunned us by getting up on the stage of the amazing theater arts auditorium and said "to be or not to be"! So totally out of her shy character, especially in front of total strangers. We drove home and wondered if God was doing something in this. In May, Hannah finished at JWI and moved into staff housing at Hume Lake for her summer on staff there. In June, Bekah and I finished school, and then the three of us drove back to Sunnyside for Tim to canditate at First Baptist Church. The weekend went well and we were asked by the church to come...in Three weeks! We drove home, put our house on the market, packed up our belongings and moved away from our friends and neighbors of 20+ years and the only home our kids had ever known. We moved into the parsonage on June 28 and Tim began as Pastor at Sunnyside First on July 1, 2013. In August, Hannah finished at Hume, graduated from JWI and moved here to be with us. We spent 2014 just getting used to the new situations we have been encountering. SO, here we are in March 2015. Bekah is just finishing up her junior year at SHS. This weekend finds her in the last weekend performances of the 3rd drama club production that she has been in! Who knew?! Hannah is finishing her last 2 quarters of her associate degree from Yakima Valley Community College and is heading to George Fox University in the fall. I am just finishing up my 5th quarter teaching in the Adult education program at YVCC. Tim is feeling more and more at home in his position as the pastor of Sunnyside First. We are enjoying living in this small farming community. Still making friends and establishing routines. It is more "home" everyday. philosophy of life, and to discover my calling and central purpose for life. I will be taking classes such as Elements of the Bible, Christian Life and Ethnics, and Pauline Epistles while attending JWI and be able to put what I learn into practice on mission trips throughout the year. We will be going to places like LA to work with inner city and homeless children, Mexico to work with deaf children, the Dominican Republic to work with the needy and a 2 week trip Israel to actually walk in the places that we have been studying in our Bible classes. After the 9 month program, I will spend the 2013 summer working at Hume Lake youth camps. In order for me to attend this program, I am in need of help both spiritually and financially. A very important way for you to help would be to pray for my year. Pray for the finances to be raised, pray for my heart to be open to God’s leading, and pray for our safety on the trips. Your prayers are always welcome. I also ask, if you can, donate to help me pay for the JWI program. I am currently looking for a job to help cover some of the cost and during the year will also have the opportunity to work off some of my tuition by working during the winter season at Hume Lake camps. This will cover about 25% of the $15,000 cost. I will need to raise the remaining $12,000. I will need to raise $4000 by mid July in order to ensure my place at Joshua. I will then need to pay the balance in monthly payments. Are you willing to make a one time gift to help me out? Or maybe you would be willing to donate each month to help cover the $800/month cost from September to May. I do need to send in my $500 deposit in mid May to commit to the program, so I do ask that if you wish to donate that you respond by May 10th. All donations are considered a gift and unfortunately are not tax deductible. Thank you so much for your time and support! I look forward to this awesome, life changing journey. God Bless! Wow.. time flies when you are having fun.. and even when you aren't! So it has been awhile since I blogged. Alot has happened... Hannah started her senior year, Bekah started 8th grade, I started a second part time job teaching chemistry, we had Christmas and new year.. now here it is March 2012! What is new with us you say? Well just about everything. We are in a season of heartache, transition and uncertainty. Things at church have been not very fun for awhile. Finances of the church, people leaving, people saying hurtful things.. . The church is not thriving. Not able to meet it's financial obligations. Not able to keep going. We thought it was going to pull out of the nose dive, and just when we thought it had, there was more "stuff" that happened and it became clear that our church, the one we had been faithfully serving for 20 years, the one whose members are our family, the one that we are not sure how to go on without, is closing. So as of April 1st, Tim is out of work. We will probably have to move out of the area.. the only home our kids have ever known. It has not been an easy season for us. There are MANY unknowns... like where we will live, what if Tim can't find another position, what we will be doing, who will we be ministering to... but even with the many unknowns, there are a few knowns too: We KNOW that God will take care of us. He knows what we need, He knows who we are, He loves us. Also, we KNOW that we have each other. We have our family.. we have our faithful friends, we have people who love us. We know that as difficult as this will be, we will look back and be able to see God's hand all over it. The next few weeks I am sure will be full of heartache.. how do you watch something that you put so much love into shut it's doors? I am worried about my kids.. worried about their emotional well being.. worried that this will turn them off of "Church".. worried that they will be forever scared by this. But I know that God sees my kids too. He loves them, He wants them to thrive. I know that whatever happens to us, there will be some good things to hold onto. But until then, we will have to face the heartache. We will have to face the change. We will have to endure the pain. We will have to shed the tears (believe me, there have been more tears this year than in my previous 48 years put together!) We will have to trust God more and more. I have loved living here. I have become a Californian..a Santa Marian... I can't imagine living anywhere else... but i will. I will go where God takes us. I have a plan in my mind of where I would like to go.. but I am waiting on God to show where HE wants us. I am sorry if this is rambling.. I have just had a need to express what I am feeling. I have people I can talk to, but it is hard to get the point across when you are sobbing. Typing it out helps me process it. I know that we will survive this.. God will bring us through it. I am looking forward to when I can blog about that! Here are my favorites from Hannah's senior picture session. 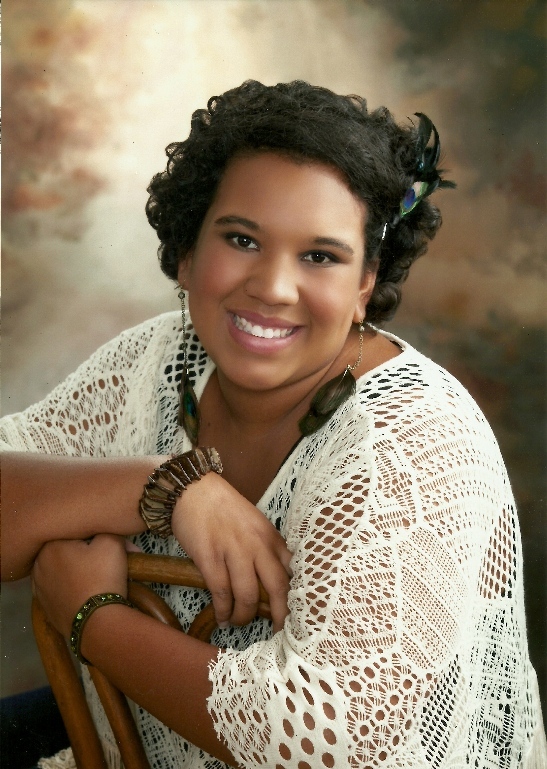 This is from the photographer that is approved for the yearbook. She is having more taken by her good friend Anna later. I appologize for the horrible reproductions.. I got lazy and photographed them instead of scanning.. and then to get the picture with no glare from the overhead light, I put them on my computer keyboard and there is a little blue light on some of them...oh well, I just wanted you to see them. Isn't she just Gorgeous??? Wow!! Life has been happening and my posting has not... so let's catch up! February 10, 2011- This is Dudley. Dudley is our friends the Gerardi's dog. I love Dudley and his "ear hat" he can make his ears do all sorts of things, but this is my favorite. February 11, 2011- Hannah wanted to do something special for all the girls in her school (170 of them!) so she ordered and paid for 200 carnations. They shipped from Bogata Columbia on February 7th and arrived in Santa Maria on February 10th.. in the wee hours of the morning, we finished getting them ready for her to take to school today and give to all the girls as an early valentine from Hannah. She is so thoughtful.. makes me a proud mom. February 12, 2011- Ruth and Bill came to spend the day with Mom and celebrate her birthday with her. February 13, 2011- While Ruth and Bill were here, we took Mom to tour some assisted living facilities. Today I took a deposit check over to the place that we decided was the very best for her... Magnolia in Old Orcutt. February 14, 2011- Tim and Bekah were gone for Valentines day and Hannah had the day off of school. Hannah and I went to lunch and the outlets. 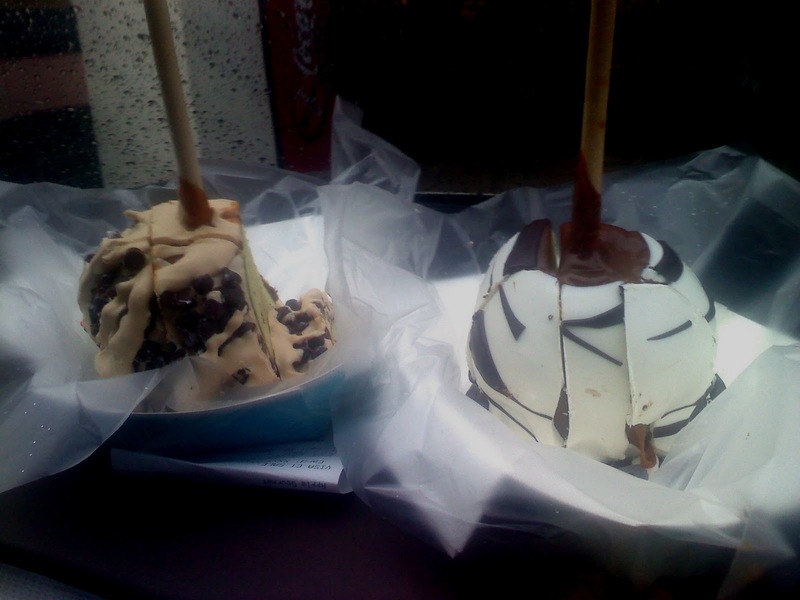 It was raining, but we really enjoyed ourselves... especially the candy apples from Rocky Mountain Chocolate Factory! February 15, 2011- Kiwi LOVES to look at the food on the table from her Vulture Position. February 17, 2011- Kiwi does NOT like it when Hannah closes her bedroom door. 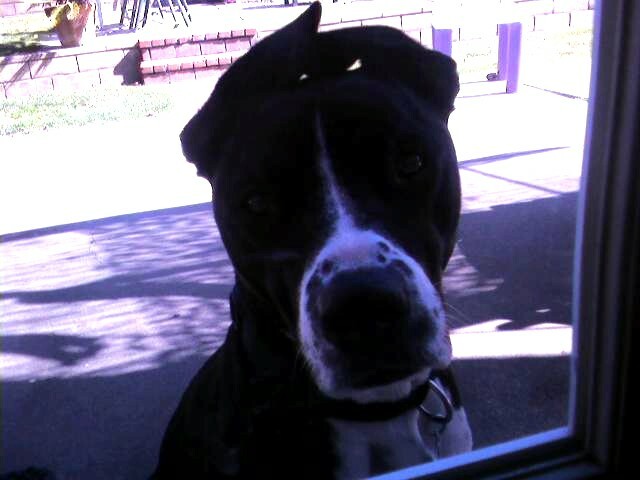 She will stand outside for HOURS waiting to be let in. February 19, 2011- what the HAIL???? February 20, 2011- Our family spent the long weekend having a Star Wars marathon.. start to finish. February 22, 2011- After big rains we see this guy (or other birds that look just like him) on the golf course outside of my workplace. February 23, 2011- Mom moved into Magnolia today. This is a picture of her room (part of it anyway). She has a beautiful room with a beautiful view. February 24, 2011- Varsity Swim Team!!!! February 25, 2011- We are used to seeing birds and squirels and occasional little bunnies outside our office building.. but this guy startled me! February 26, 2011- Tim and I drove to Sacramento today.. the snow just had started to fall on Cuesta Grade! Very unusual for Central Coast weather! January 29, 2011- Hannah and I had to go to SLO to get her a new suit for swim team. It was a fun Mom/Daughter day. 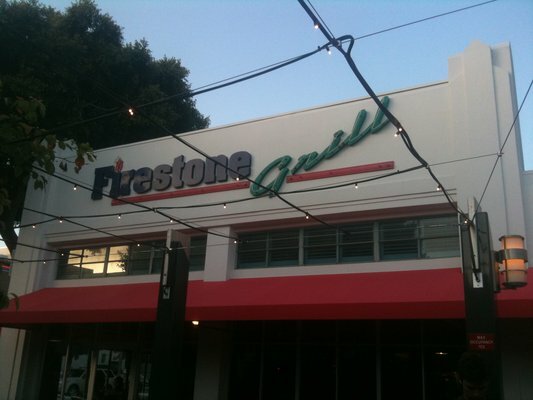 We had lunch at Firestone Grill. As we were sitting there, I kept watching the Cal Poly students walking around and thought "That is Hannah in just a few years!" It was good to hang out with her. Need to do it more often! January 30, 2011- The ProBowl from Hawaii. Kris Allen sang the National Anthem. We loved him on American Idol. January 31, 2011- Getting gas today I noticed the old clock. Hadn't really "seen" it for awhile. To busy looking at stuff I guess. 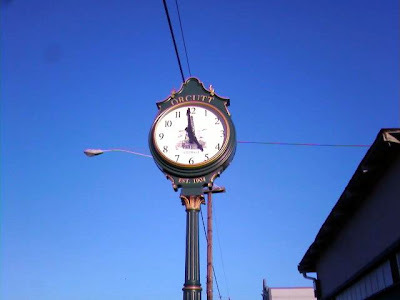 Anyway, I always loved this clock! February 1, 2011- Tim's mom's 85th birthday. Grandson Will and family sent her the cutest flower "cake". February 3, 2011- Someone told Tim he needed to use a "NetiPot"... so he bought one and swears it is making his cold better... I am not so sure.. but hey it is worth a shot. February 4, 2011- Ladies Bonco night at church. FOOD, FUN and lots of LAUGHTER. February 7, 2011- Monday nights at church is Mania.. the Jr. High Group. I am the ride home for Bekah and Allison. They love to come to Mania.. maybe they are Maniacs? January 21- This is a picture of my "Studio" also known as my corner of the living room. It is usually messy. It is usually unorganized. It is usually where I spend my evenings. I can watch TV with the family and still play on my computer or scrap a little. January 22- Tonight we ordered pizza from Papa John's pizza. They are fairly new in the area. It was pretty cheap. It was pretty good. I was pretty impressed. We will be calling them again. January 23- We had lunch after church today at Jack's in Old Orcutt. It is legendary for it's pies. We ordered a piece of the Chocolate Cream pie and I had the waitress set the whole pie on the table so I could snap a picture. January 24- Hannah had to draw something representing the Salem Witch Trials (they are getting ready to read "the Crucible").. I think she did a remarkable and creepy job. January 25- This is a picture of "Mud Lake". It is a water retention area near our house. The whole of Orcutt knows where Mud Lake is. It is a remarkably relaxing and yet noisy place. When there is water in it, there are frogs croaking and birds singing. It is lovely. Jan. 26- So our psychotic dog, Kiwi, loves to go into Hannah's room and climb up into the window to watch the goings on in the neighborhood. She spends hours on the window sill behind the blinds (she is SO skinny!) barking her heart out. I snapped this picture while pulling out to take Hannah to school. January 27- Ahhh.. my guilty pleasure... Cherry Coke Zero! This is hands down my favorite soda. We can only get it in cans here which is probably good. If it came in 2 liters, I would definitely drink too much. January 28- Bekah likes waffles in the mornings. So I make a waffle for her (I have figured out the recipe for a single waffle.. 1/2 cup Krusteez, 1/2 T. Oil and 3 ounces of water- perfect amount for just one waffle) before taking Hannah to school.